Potted plants can fall victim to white mold. On house plants, this mold appears on the soil or potting medium as well as on the plants. 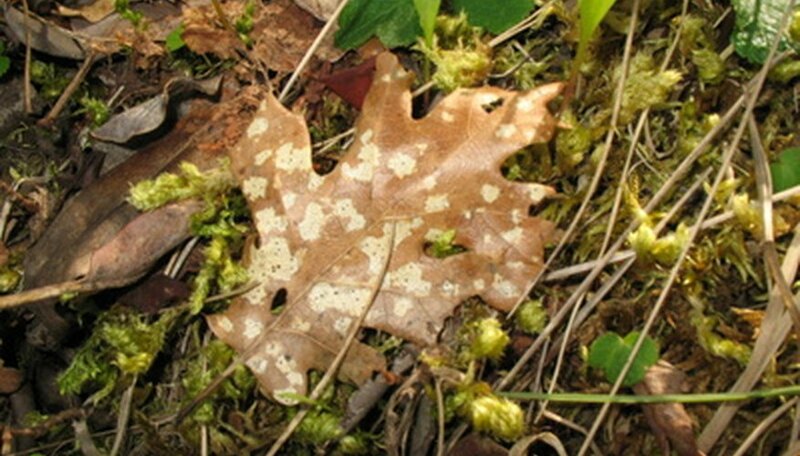 There also is at least one insect that mimics the appearance of white mold while at the same time sucking sap from the host plant. Spotting the difference protects the life of the plant and determines treatment options. White mold--sometimes it may also be yellowish in color--occurs on the soil as well as on plants. When the gardener locates this fungus on the soil, it primarily indicates infected potting soil. Re-potting the house plant is a good solution for eliminating this kind of mold. White or gray dust indicates the presence of powdery mildew. This fungus affects most commonly a house plant’s leaves, but it may also appear on stems, flower petals or buds. Scientists from the North Dakota State University Extension Service identify the African violet (Saintpaulia)--closely followed by the grape ivy (Parthenocissus tricuspidata )--as the indoor house plants most commonly affected. Hobbyists should selectively prune away the affected leaves and flowers, apply a fungicide and provide ample ventilation around the plant. High humidity frequently causes white mold on house plants. It is the result of a combination of misting, warm temperatures, stagnant air and over-watering. Plants that are placed in close vicinity of one another are more susceptible to developing mold than house plants that are placed sufficiently far apart for air to circulate between them. Mold is frequently species-specific. A fungal infection that affects a lilac plant generally does not spread to become powdery mildew on an apple tree just outside the window. It is nevertheless a good idea to immediately treat fungal infections and prevent the spread of mold to other plants that may be in the same family as the affected specimen. Hobbyists who want to try an eco-friendly treatment prior to purchasing a commercially available fungicide might look to apple cider vinegar for relief. Retired horticulturist Ena Clewes suggests mixing 3 tbsp. of apple cider vinegar to a gallon of water, pouring the mix into a spray bottle and then spritzing the house plants in the early morning hours. It is possible to mistake a mealybug (Pseudococcidae) infestation for white mold. Mealybugs produce a powdery layer of wax that mimics white powdery mildew. As they feed off the plant sap, leaves eventually curl and fall off. Mealybugs are common on cacti and gardenias, but also on carnivorous pitcher plants. Fungicides do not stop the bugs and selective pruning only eliminates visible adults but not eggs. Verify the presence of the pests by rubbing the mold spots and feeling for a sticky substance, which indicates bug damage. Applying an insecticide stops the infestation.